Susan Dumoulin - Conseillers T.E. A Consultant in our Oakville office, Susan thrives on the challenge of helping people achieve their financial goals. After graduating from the Niagara College of Applied Arts and Technology, Susan began her career as an accountant at Bateman Mackay Chartered Accountants. 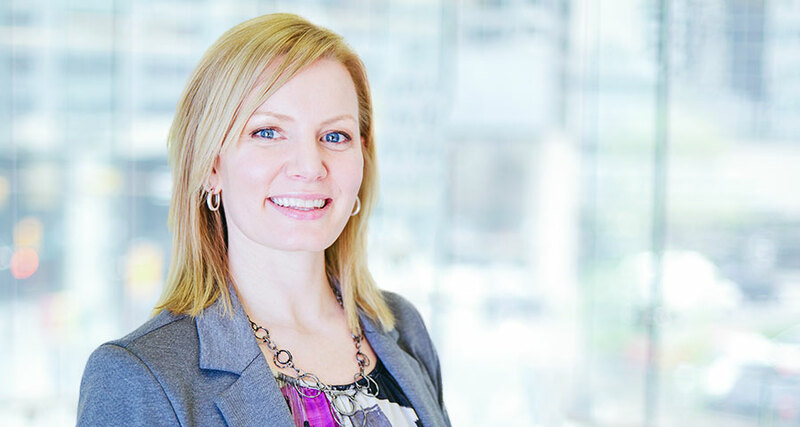 In her three-year stint there, she worked towards her Certified Financial Planner® (CFP®) designation while honing her tax and financial planning skills. Susan joined T.E. Wealth in 2000, specializing in tax management, comprehensive financial planning and total wealth management services. Her clients include private high-net-worth individuals and C-suite executives. Susan lives in Hamilton where she enjoys spending time with her two highly-active sons, and playing in the local volleyball league. I have dealt with Susan Dumoulin for many years and have always found her to be helpful, knowledgeable and extremely efficient. Her extensive experience and problem solving abilities are outstanding. She anticipates issues, presents solutions and provides intelligent and practical advice. In addition to her technical skills, she has a strong rapport with clients. She is a flawless professional in every way and consistently provides outstanding service. Susan has been assisting us for a number of years and has been invaluable to us! Her attention to detail is incredible; we don’t know how we would get through tax time without her advice, knowledge of the tax laws and her focus on doing an excellent job for her clients. Susan’s customer service and client support skills guarantee that her clients feel secure and positioned to gain maximum benefits from her advice. Susan Dumoulin has been an integral part of my financial management for well over a decade. Thanks to Susan’s diligence, and attention to detail, I always feel that my best interests are of the utmost importance. Susan’s friendly, personal touch makes her a real pleasure to deal with. Thank you Susan! Susan has helped guide our investment portfolio, income taxes and special programs such as RESP’s in a professional, competent, prompt and friendly manner. We have recommended T.E. based on the quality of the service and employees like Susan. Susan has always been the consummate professional dealing with my affairs – completely trustworthy, thorough, and a pleasure to work with.